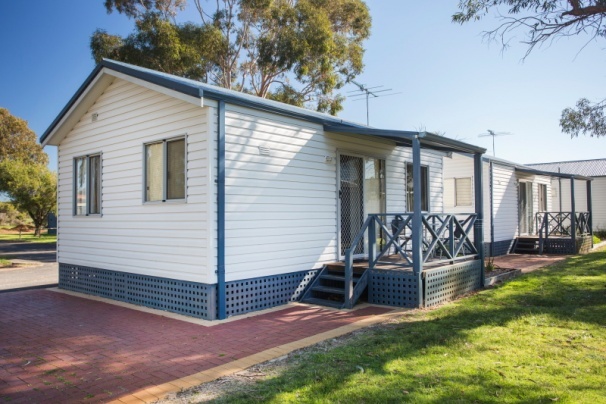 Your complete family holiday experience in Bunbury with all the facilities you expect of a quality holiday park. PET FRIENDLY with your own caravan or tent. PARK FEATURES: DOG FRIENDLY on sites & select cabins. Fancy a round of golf? Try your hand at our 18 hole mini golf course in the park. There are a number of great activities to enjoy including, pump track suitable for scooters,skateboards and small bikes ( Helmets Compulsory) bike hire, jumping pillow, children's playground, swimming pool and spa. On site convenience shop, guest information room, free under-cover electric barbecues, laundromat with washers, dryers, modern spotless amenities blocks. Standard & deluxe A Frame cabins and 2 Bedroom Superior Cabins. 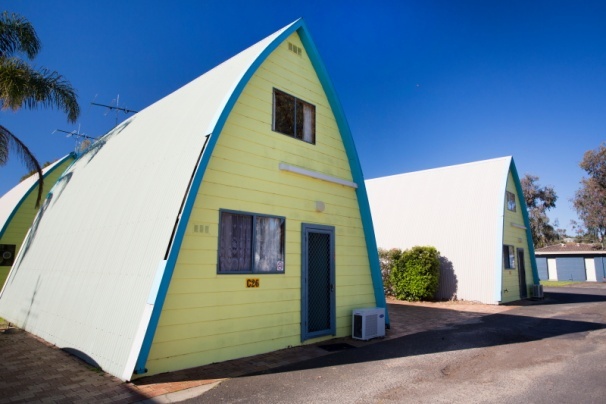 Our chalets let you relax whilst being Surrounded by ‘Home Comforts’ ROOMETTES The best budget accommodation for your dollar in Bunbury! Motel Style room with ablution block close by. CARAVANING Choose from ensuite sites, pull through sites, Powered sites and concrete pads, located in Beautifully grassed and shaded locations. 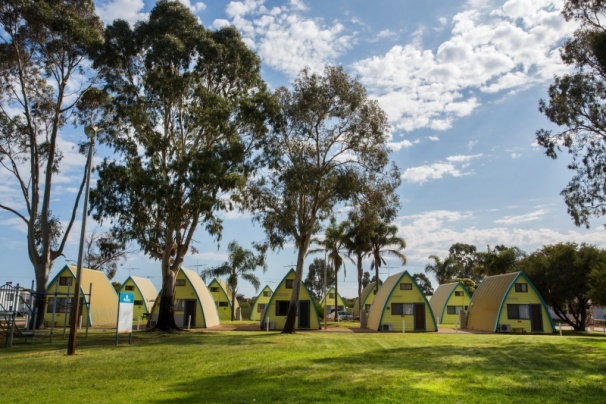 CAMPING Our camping sites are the best in Bunbury! Offering a fully equipped campers kitchen and immaculate amenity blocks set amongst our native trees. These rooms do not have ensuites, guests to use the shared bathroom facilities. Roomettes contain some cooking facilities. Double and 2 single beds. Open plan A frame chalet, mezzanine floor, ladder/or staircase, 1 double downstairs, 2 singles upstairs. Fully self contained, reverse cycle air conditioning and ensuite. TV & DVD player. Sleep up to 6 in an air conditioned spacious 2 bedroom fully self contained A-framed 2 storey chalet (1 Queen downstairs in a private master bedroom,4 singles upstairs in an open loft). Complete with bathroom, hairdryer, cooking and kitchen facilities including, fridge/freezer, microwave,utensils, TV & DVD, iron and ironing board, heating and all linen. Reverse cycle aircondition, 2 bedrooms, ground level cabin with balcony, cooking & kitchen facilities, En-Suite bathroom, all linen, provided, TV & DVD, either 2 queensize beds or 1 queensize bed & 2 single beds. Bookings cancelled 14 days or more prior to the arrival date will be refunded less one nights’ accommodation. Where bookings are cancelled less than 14 days prior to arrival an amount equalling 25% of the total accommodation quoted above will be retained (or one nights accommodation whichever is greater). Bookings can be moved without penalty (dependent on revised booking period). Customers may hold credit on their client account for up to 12 months. The same cancellation requirements as indicated above apply to Group bookings (two or more on-site accommodation) however 30 days’ notice must be given in this case. No refunds are given or early departures or cancellations once arrived - credit may be held for a period of 12 months.